Amazon’s Prime Day sale will be coming to an end today, and now the company has marked down the prices of the Amazon Echo Spot — the only smart speaker in Amazon’s India line-up that comes with a display. The smart speaker, which is usually priced at Rs. 12,999 is currently available for a flat Rs. 4,000 discount at just Rs. 8,999! That’s basically a steal deal for the Echo Spot. 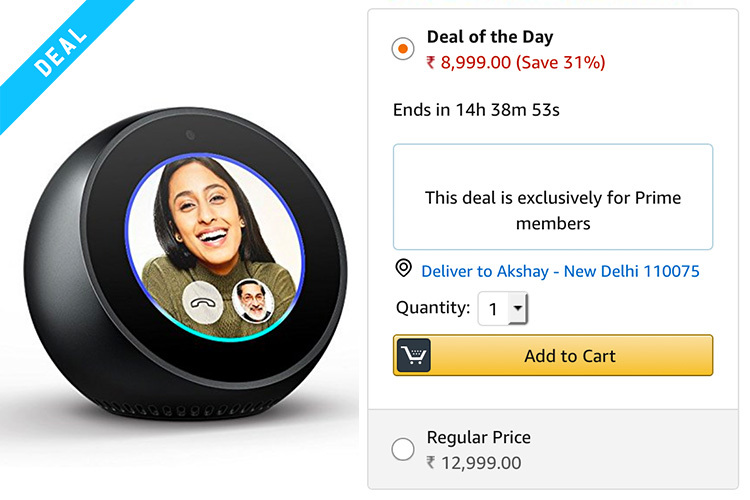 It’s a price even lower than what Amazon offered when it first launched the Echo Spot in India and was offering it for a lowered price of Rs. 10,499. 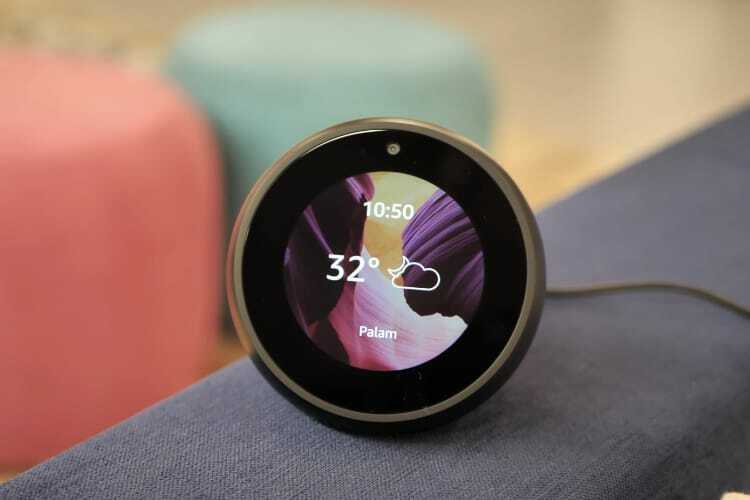 The Echo Spot brings the best of what Alexa can offer — including smart home control, an intelligent voice assistant, reminders, alarms, and more, and adds to that a display, and a camera, so you can even make video calls with it, watch the news with supported channels, and get visually aided information for everything you ask the Echo Spot to do. It’s really pretty awesome. In our review of the Echo Spot, we mentioned that for Rs. 12,999 the Echo Spot is more money than it’s worth, but at this discounted price of Rs. 8,999, it’s just awesome. The Echo Spot is pretty impressive both in terms of what it can do, and in terms of the display and audio quality that you get with it. Alternatively, you can opt to buy the Echo Dot, or the Echo if you’re looking for a smart speaker that doesn’t have a display, or a camera.